Interesting option to spend some time swimming in Morwell. Is it not your initial time here? Tell us how it went working with the Facebook comments below or contacting us directly! 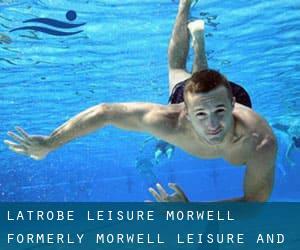 Latrobe Leisure Morwell (f. Morwell Leisure and Recreation Centre) is only one of all of the swimming pools Swimia is offering you, and its information has been shared with us by a swimmer like you.Keep in mind you can actually now promote Latrobe Leisure Morwell (f. Morwell Leisure and Recreation Centre) by sharing this page with your friends, adding comments and linking to us. This sports centre gives 25 meters, 8 lanes, Indoors. For this Swimming Pool, only phone number is number here. Write down the GPS coordinates we've on our file for this Swimming Pool, so you can enter them into your GPS to help you locate the Pool easily. If you believe that any from the knowledge is incorrect, please contact us. Aid us be better day-by-day. Updated on 2019 Old Sale Road & Southwell Avenue , Newborough , VIC , AUSTRALIA (Postal Code: 3825). Among all of the activities offered by the centre, if you're thinking about swimming you can take pleasure in 25 meters, 6 lanes, Indoors. Just in case you would like to contact this Swimming Pool before dropping by, we only know the phone number.